Tripling the size of the school and boosting its reputation worldwide, Alter Hall is an effective forum for undergraduates, graduate student, faculty and the regional business community to meet and learn from each other. The three-story atrium that joins Alter Hall with the existing building is used for lunches, dinners and conferences. 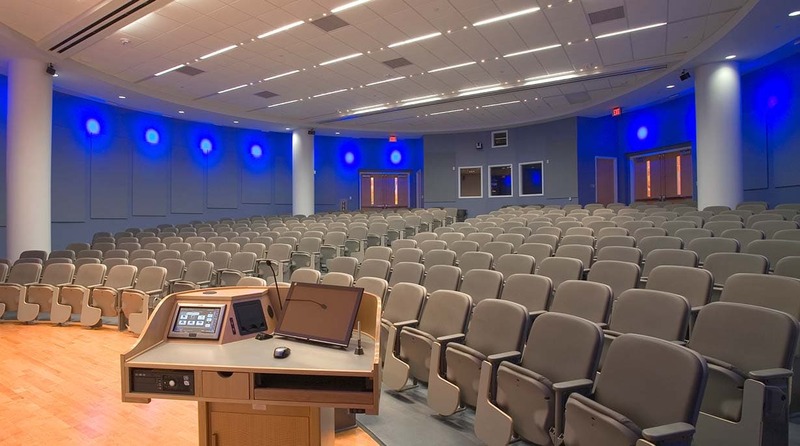 An adjacent two-story pre-function space leads to a 250-seat auditorium and lecture halls on the lower level. 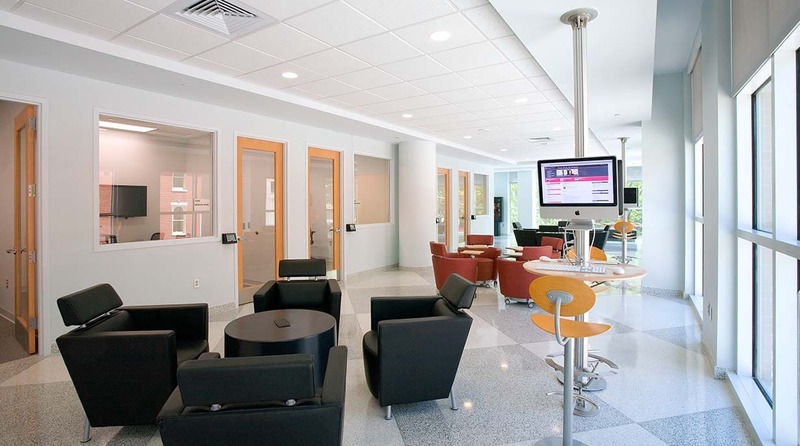 The visibility of these public spaces at the heart of the school, along with the 7th Floor MBA Commons and prominent facilities for experiential learning, contributes to the school’s dynamic atmosphere. 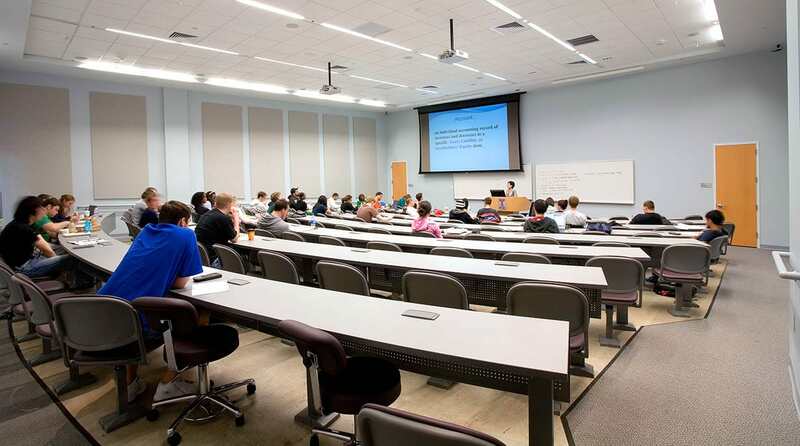 While Alter Hall contains numerous formal meeting and instructional spaces — standard and tiered smart classrooms, a mock capital markets room and simulation lab, case study and breakout rooms and specialized meeting rooms — the building also engenders small, collaborative learning communities. 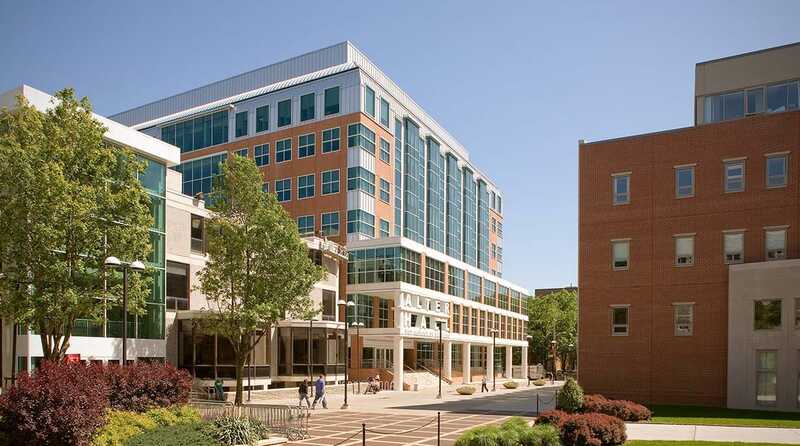 Students easily come in contact with faculty, their peers and business leaders because of the strategic location of communicating stairs. 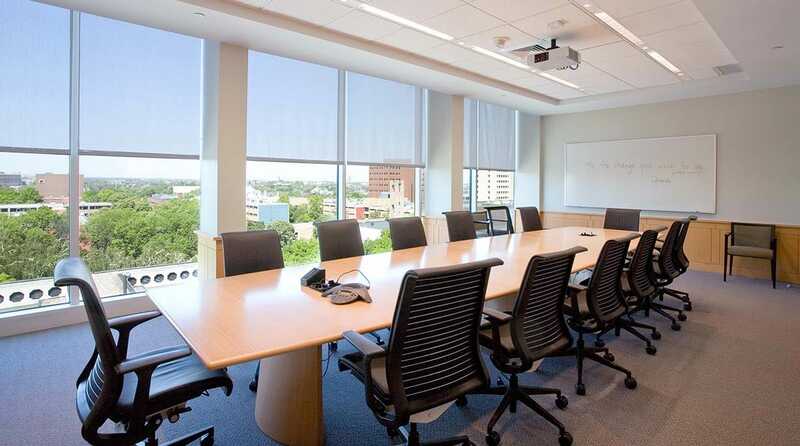 Meeting alcoves on every floor and lounges at the perimeter of upper levels enjoy ample natural light and views of the campus and Center City Philadelphia. Information technology and audiovisual systems were carefully considered, including infrastructure that provides flexibility for future technology that could not be predicted at the time. 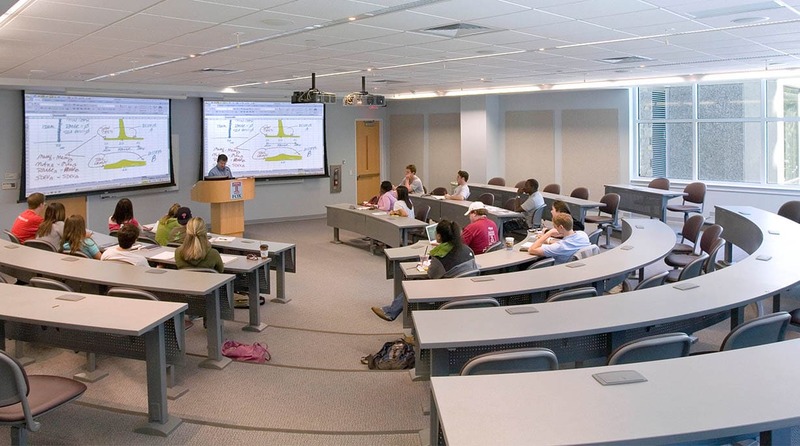 We configured rooms and provided acoustics and lighting appropriate for distance learning, one of the school’s priorities. 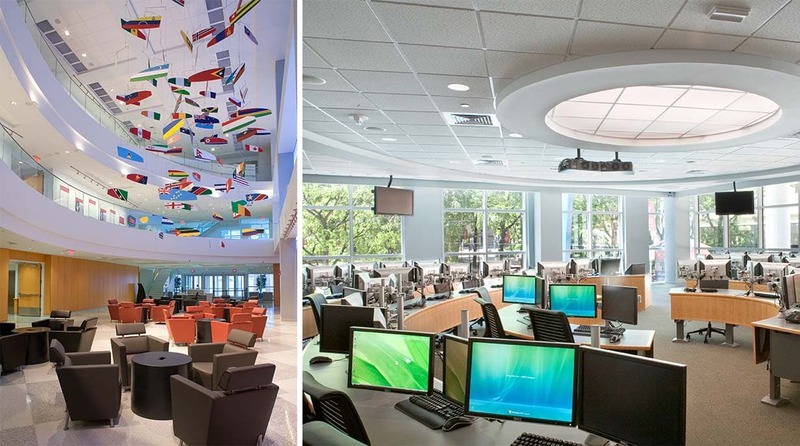 The exemplary integration of technology with the architecture earned the project several awards including and AV Pro Spotlight award.